Carnivale of Customer Service « Customers Rock! Welcome to this week’s edition of the Carnivale of Customer Service. A big thank-you to Maria Palma at CustomersAreAlways for having me host this week. My topic, Marketing Through Customer Service, was a challenging one. 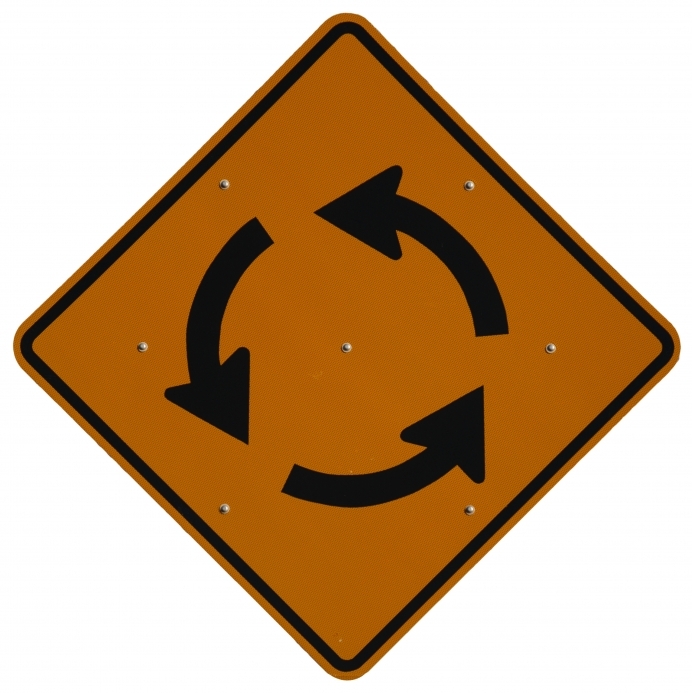 Where is the intersection of marketing and customer service? Read the links below for some thoughts. Meikah Delid of CustServ gives us Building Customer Loyalty is also Basic Marketing, which discusses the importance of building relationships with existing customers. Doug Hanna of ServiceUntitled shares Be Insistent, his story of the fine line between being persistent and being rude. Glenn Ross of Customer Service Experience reminds us of his post, Word of Mouth Advertising Increases Your Customer Service Experiences, and the intersection of positive Word of Mouth and customer service. Tom Vander Well of QAQnA tells us about one of his pet peeves, the use of a customer’s name, in his post When Marketing and Customer Service Collide. Get it right, and we are more likely to trust you with more! The intersection of marketing and customer service is all around us. It involves every customer service touch point: loyalty marketing, face-to-face customer service, phone, email, and even word of mouth. 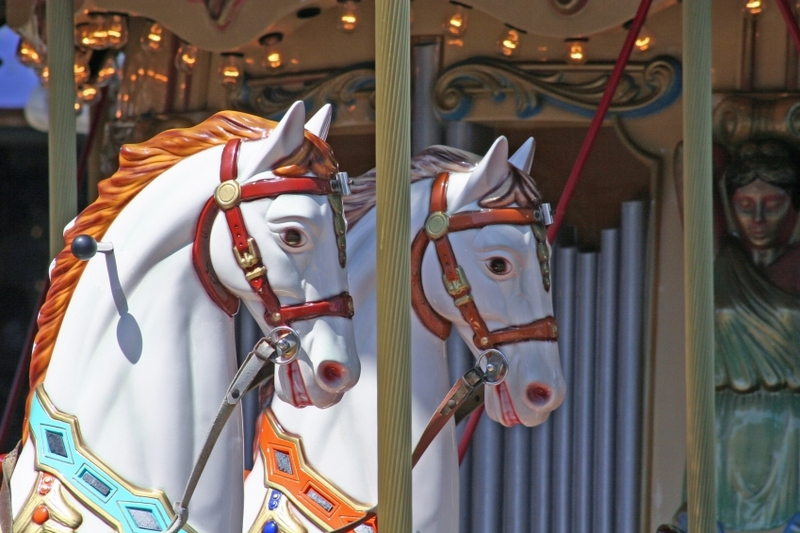 Just like the carousel horses in the picture above, it works out best when marketing and customer service work together. Thanks to everyone for participating; it was fun! If you are interested in hosting a future Carnivale of Customer Service, please email Maria Palma at CustomersAreAlways. As you may have noticed, here at CustomersRock! I write about both customer service as well as marketing. In my opinion, every touch point is an opportunity to market to your customers. I would suggest, then, that everyone in your company who interacts with a customer is a “marketer”. Of course, we need to have marketing specialists! But we also need to ensure that each customer touch is giving the message we want to give about our products, services, and brand. Customer service is one of the main points of interaction between company and customer. So let’s explore it together! On behalf of Maria Palma at CustomersAreAlways, CustomersRock! will be hosting the Carnivale of Customer Service on Monday, February 5. The theme will be Marketing through Customer Service. Here’s how it works. To take part in the Carnivale, simply write a post on the topic of Marketing through Customer Service. When you are finished, email me at bcarroll7 at gmail dot com by Monday, February 5 at 12:00 PM Pacific Time. I will include a link to your post at the Carnivale here at CustomersRock (link love)! How can customer service market to customers? If you have a great customer service story, we’d love to hear about that as well; it is great marketing! Thanks, and I look forward to reading your posts soon. P.S. Check out this week’s Carnivale at CustomersAreAlways, featuring an article on customer service words from me, a company shoes/customer shoes story from Phil Gerbyshak of Make It Great!, and thoughts on voicemail from Meikah of CustServ.